The Cumi Abrasives provided by us are known for their sturdy designs and durability. These abrasives facilitate ease of installation and have negligible needs for regular maintenance. Perfect finishing having this Bonded Abrasive is available in the market in multiple sizes. These abrasive are damage resistant and remain unaffected by using for longer time. This abrasive is light in weight and made of durable material. We offer this abrasive in market in multiple sizes. Dealers for Grindwell Norton, 3M. 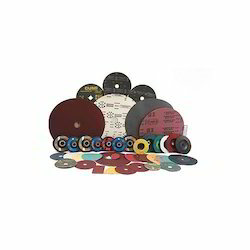 All types of abrasives for Automotive, Industrial requirements available with us. Orient bonded abrasives are known for their high performance and are largely demanded owing to their higher durability. These bonded abrasives are available at best industry prices and are known for world class quality. We are an eminent name, engaged in delivering Bonded Vitrified Abrasive, these products are highly applauded by our customers, owing to their high efficiency with long service life. In addition to this, these products are properly checked by our skilled professionals in order to provide defect free range to the customers. 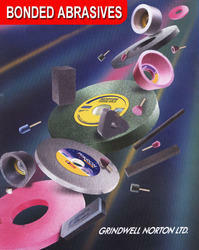 We are providing our valued clients with the best-in-class Bonded Abrasive. Manufactured by making use of high-grade basic material, these offered products are in compliance the defined parameters of the industry. Our valued products are available in different sizes and specifications catering to the diversified demands of the clients. New Mill Gin Stores & Engineering Co.
• Reinforced Cut - Off Wheels. • Non Reinforced Cut - Off Wheels.